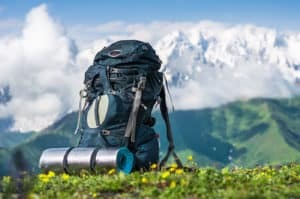 Hiking and climbing often go hand in hand when it comes to outdoor activities and exploration. 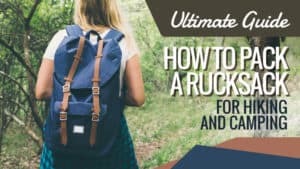 We often find ourselves encountering rough or uneven terrain, and this can be tricky if you don’t have the right footwear. That’s where a pair of approach shoes can come in pretty handy. 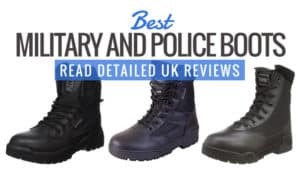 In this guide, we have gathered some of the best approach shoes on the market for you to look at. 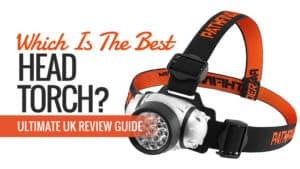 We also give answers to the question, what are approach shoes? 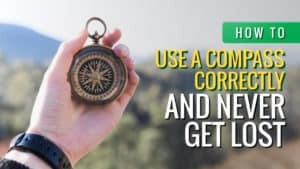 Take a look at this concise guide and see if these could be the right match for you. These features make them perfect for increased agility on rough terrain. 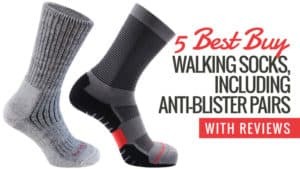 Their light and breathable construction makes them more versatile for outdoor use, as well as helping to reduce fatigue while you are walking. 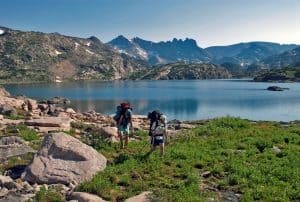 It’s not always easy to choose the right footwear for your next excursion, and the same applies for approach shoes. 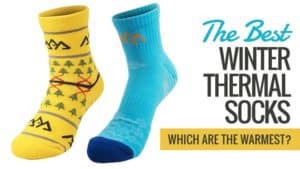 The first question you should be asking yourself is, do you need a pair of them? 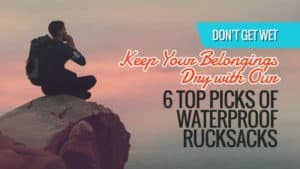 They were designed for wearing on the “approach” to a rock climb, and while their uses go beyond that, this is an important factor to bear in mind. Always make sure that the shoes you have chosen have the classic sticky sole. 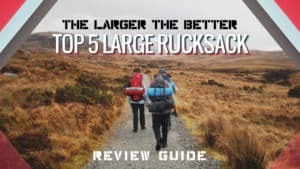 This helps you to grip the terrain better, especially if it is rugged and uneven. They give you more confidence when you are standing on the edge of cliffs, and ensure that your feet are going to stay where you put them. If they don’t have this sole, then you need to put them back and keep looking. 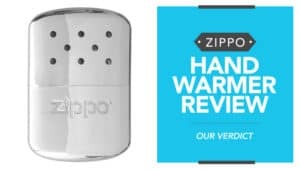 They have thicker uppers that are reinforced to make them stronger and more durable. Usually, the upper will be made of leather and have a protective toe rand that is made from the same sticky rubber as the sole. 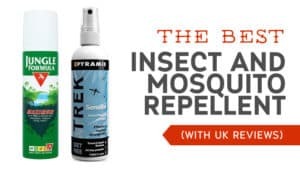 This is essential for climbing and hiking in uneven terrains, such as the like the mountains, jungles and rainforests of Guanacaste Costa Rica as it provides excellent protection for your toes and feet. It is vital to reiterate the importance of the sticky sole. The whole point of these shoes is to prevent you from slipping and falling while climbing, so a good standard sole is key. Each sole is different in appearance most of the time, but they all contain lugs and the same sticky material. 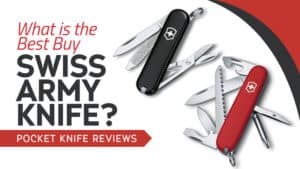 You should always check out the reviews for the shoes you are looking to purchase. They can tell you a lot about a product and its overall quality, giving you good insight before you buy. 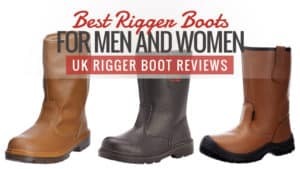 While expensive shoes are often more durable and reliable than the cheaper ones, this is not always the case, and so the reviews can come in very handy. Look at the quality and not the price tag. When you are looking to buy a pair of approach shoes, it’s important that you choose the pair that is right for you. 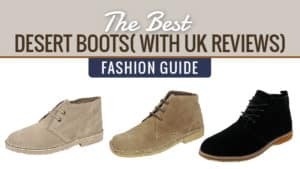 There are a few things you can look for when you go to make your choice that add a little something extra to these great pieces of footwear. Additional padding for your comfort is a key aspect of approach shoes. 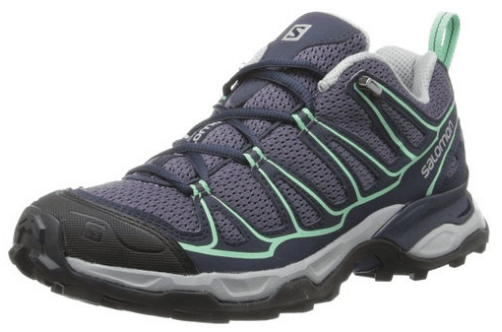 It’s a versatile shoe that was made to carry you through a range of outdoor activities. A well-padded shoe means that you will be able to go on for longer without feeling fatigue. 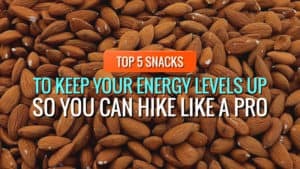 It also means that your legs and back have some extra support. Breathability is also something to look for. 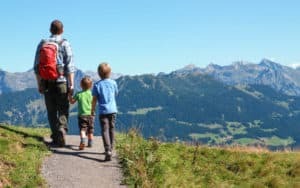 Hiking and climbing can really work up a sweat, and there is little worse than having to walk in wet shoes. A breathable approach shoe means that there is constant airflow to keep everything moving and remove the sweaty moisture from the shoe. This can also help to prevent the growth of bacteria and fungi inside the shoe. All that’s left is to choose the perfect pair for you. 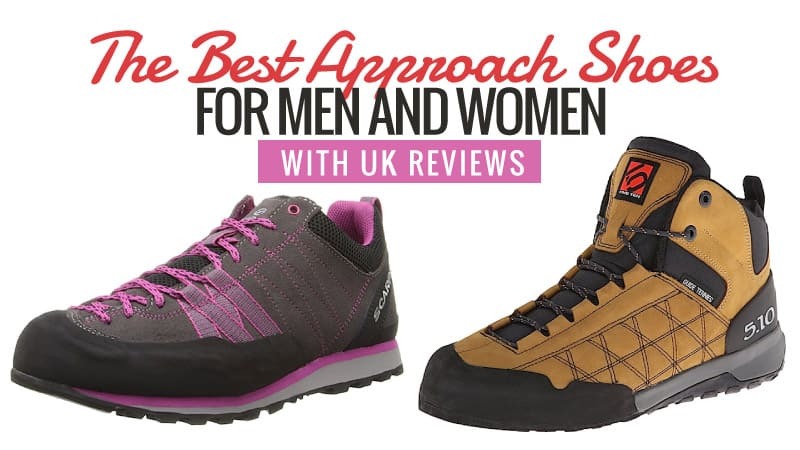 Take a look at our approach shoes reviews for some of our favourite models. 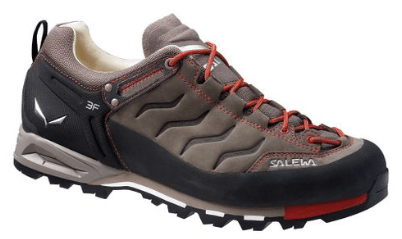 Scarpa is a top brand, known for their excellent footwear for hiking and climbing. These shoes for men are no different. 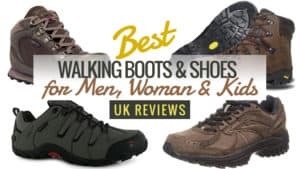 Sturdy and reliable, take a look at the reviews below to see if these are the right shoes for you. 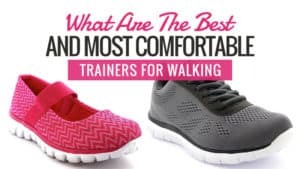 These shoes have a stylish look and exceedingly comfortable fit, ensuring that your feet don’t become fatigued quickly while you are on the go. 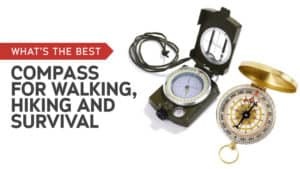 They are perfect for a whole host of activities, so you can rely on these to take you where you need to go. The micro lugs ensure fantastic grip and tread. The sticky sole is ideal for use on rough and uneven terrains, keeping you firmly in place when you need it most. It has a water-resistant suede upper, which is lined with Cocona for additional wicking. It also has a rubber toe, and the soles feature shock absorption qualities. They can come up a little small, so it is important to bear this in mind when you go to order. These fantastic shoes are reasonably priced for what they are and come from a very reliable and trusted brand. 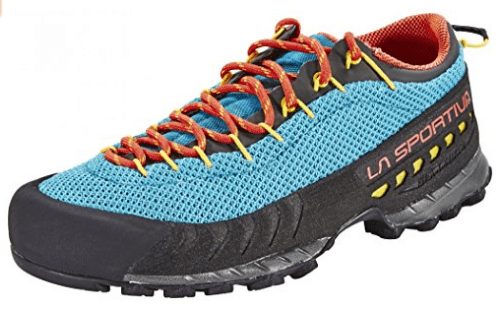 With micro lugs on the sole, it provides a superior level of grip and tread, so there will be no panic when you are off trekking across the unsteady terrain. A great pair of shoes that are sure to keep your feet well protected at all times. From a trusted and reliable brand, these approach shoes sport a funky design and sleek look. 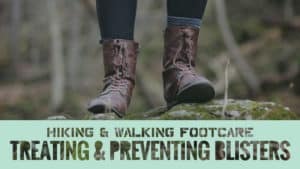 They come in three colours, and make the perfect shoes for uneven terrain. Take a look and see if these are the right fit for you. 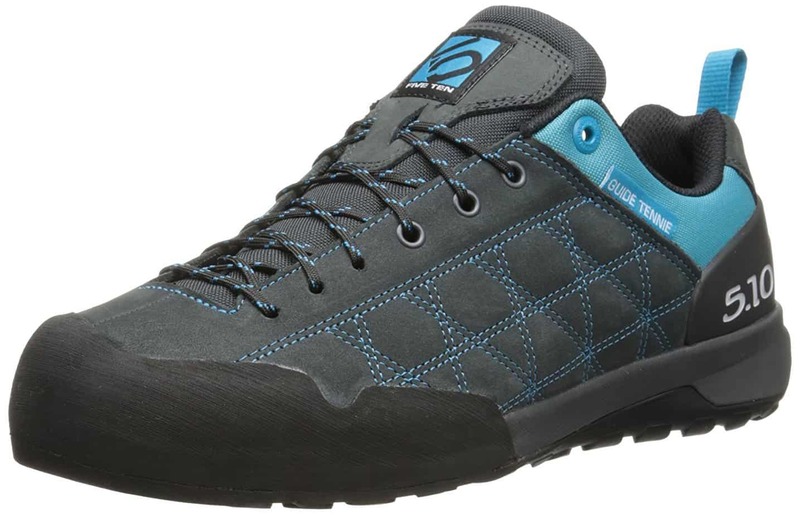 These affordable approach shoes are great for those who want something hardwearing and durable, yet lightweight for their walking and climbing excursions. It has an ergonomic design that provides an excellent fit around your feet for added comfort and flexibility. 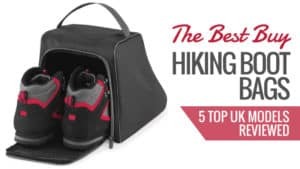 It also has a reinforced upper, providing your feet with the additional protection they need while you are climbing or trying to combat tricky terrain. The sole is made from stealth C4 rubber, providing you with superb grip and tread so that you feel safe and secure while out and about. There have been no issues with this model of shoe so far. These approach shoes are not only comfortable, but also very affordable. 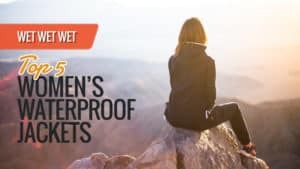 So if you are on a bit of a budget, these can offer some financial relief. They have fantastic flexibility thanks to their moulded fit, and a reinforced toe to give you a little more confidence while you are out. With a classic approach shoe sole and grip, it’s a great model for the outdoorsman. 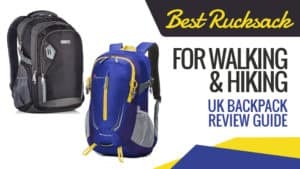 Another great brand, you can rely on Salewa for good quality footwear that will keep you steady and protected while you are on expeditions and hikes. In fact, why not take a little look below and see what you think of these snazzy approach shoes. These shoes have been designed to offer you the ultimate level of protection in all weather conditions. It doesn’t matter if you are battling rain or trudging through snow, you will stay dry with a pair of these on your feet. It’s a shoe you can rely on in just about any situation. It has a Vibram approach sole, so no matter what kind of terrain lies ahead, your shoes will keep your steady and provide you with the additional support you need to stay safe. It’s all thanks to the exceptional grip and tread. Plus, it has a thick and interchangeable layered footbed, so your feet mould to the shoe for the best comfort levels. These are some of the best approach shoes for men on the market. 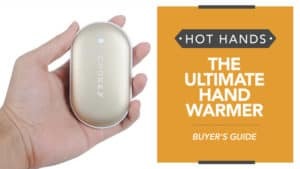 They offer great style, a good price, and excellent usability in a number of situations. 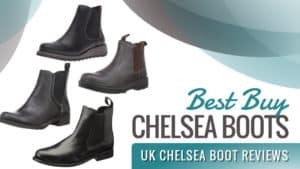 With a moulded fit for additional comfort and an excellent sole that provides you with grip and tread, it’s no wonder there have been no complaints about this great shoe. A great brand for shoes, these women’s approach shoes are no exception. 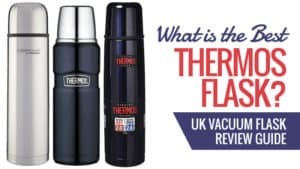 They come in great colours, allowing you to sport a fun and stylish look while you are on the move. 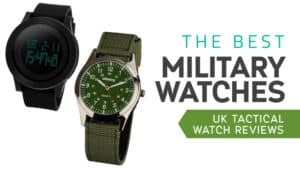 Have a look and see if they are the right fit for you. These shoes have been designed for the ‘approach’ as well as the mountainous areas and terrain that surrounds it. The sole has been designed to ensure fantastic grip and tread on all terrain, so no matter how uneven it may see, these shoes will keep you firmly in place so you can concentrate on the task at hand. They have been made with breathable mesh in the uppers, allowing constant airflow, so you aren’t walking on sweaty feet. They are also incredibly lightweight, causing them to be flexible and move freely with your feet for easy climbing and walking. 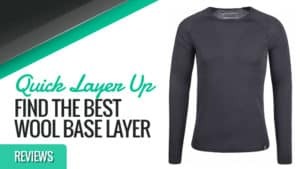 Even the lacing system has been designed with practicality and rapidity in mind. These approach shoes come at a reasonable price and have a great design if you want to stand out a little. It is clear they have been designed by people who understand the system and what a good approach shoe needs. This is always a positive point and gives you more faith in the product. 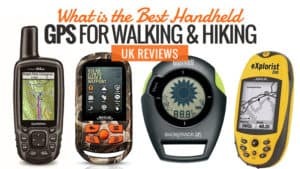 It’s a great buy for experienced or novice walkers alike. Another great brand, these approach shoes scream practicality and are incredibly durable as well as reliable. 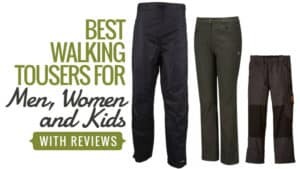 Made for women who like to experience the wilder side of the outdoors, these might just be the shoes you have been looking for, for your next excursion. 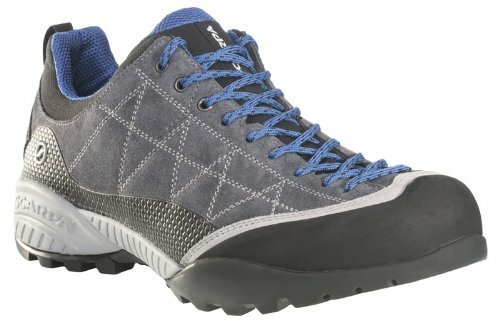 These comfortable approach shoes feature a textile upper that allows for breathability while you walk and climb. This means you won’t find yourself walking around with wet and sweaty feet all day. The low cut profile also allows for flexibility, so your foot can move freely with the shoe, allowing you to remain agile while climbing. The toe is also protected by a rubber layer, keeping your feet safe behind the anti-abrasion material. It also has a gusseted tongue, which works with the toe to keep debris out of your shoes so that you don’t end up with uncomfortable feet. The shoe also cradles the foot, allowing it to mould to you for an incredibly comfortable fit. 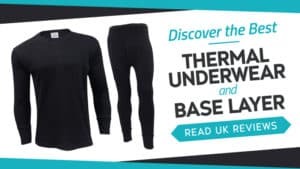 They are not completely waterproof, so bear this in mind when you go to buy. These highly affordable approach shoes have a fantastic price tag, especially considering the quality and fit that they provide. 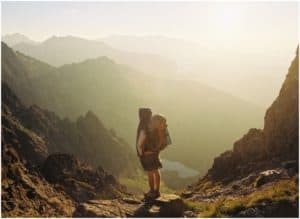 Moulding themselves to your feet, they give you the ultimate level of comfort so that you can focus on your climb and not on your aching feet. 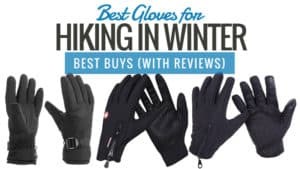 They make the perfect companion to any climb or hike and are certainly ones to consider. 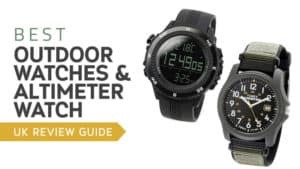 The North Face are one of the top brands when it comes to outdoor clothing, footwear, and accessories. So it’s no surprise that they have a pair of approach shoes too. Good quality, like the rest of their products, you might want to take a moment to check these shoes out. 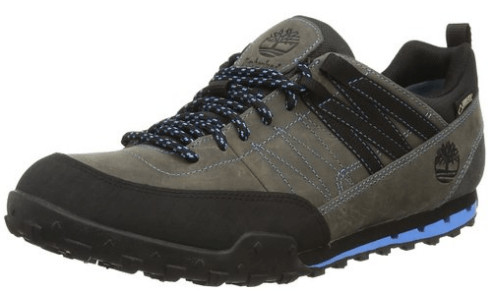 The upper on this shoe is made from full-grain leather and mesh, allowing not only for excellent protection but also breathability so that you don’t end up with wet and sweaty feet. 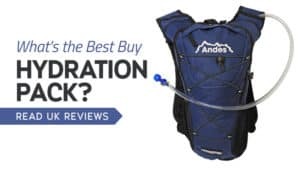 The membrane itself is also breathable, and it is waterproof as well so you can go climbing and walking in all-weather without concern. It has a full foot TPU shank to prevent foot roll, as well as Vibram outer soles. 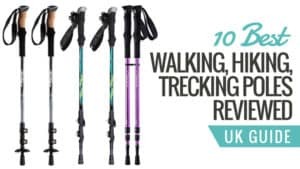 These provide exceptional grip thanks to the nifty lugs, so you can trek across all types of terrain and know that your feet will remain planted firmly on the ground. No matter the terrain, you’ll always have maximum traction. They can be quite uncomfortable at first as they take time to break in. Whether you’re climbing or scrambling, these boots promise to keep you steady and help you grip on even the toughest terrain. While you need to take the time to break them in before they become flexible and comfortable, it is well worth the effort for the end result. Affordably priced, and excellent quality, you won’t want to miss out on these. Q: Are these light weight? 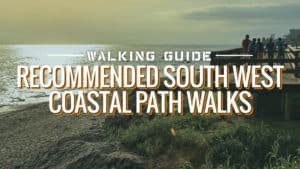 I have found some walking shoes quite heavy, but my previous NorthFace trainers were light? A: These trainers are light, but the ones I have are very narrow. 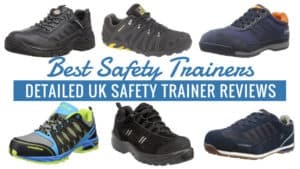 Here are some of the other great approach shoes that we reckon will keep your feet comfortable and well protected. 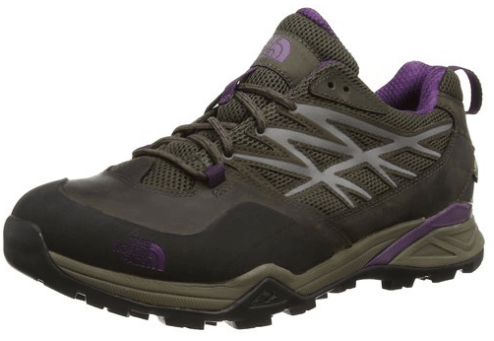 With this approach shoe, you’ll be able to take on any terrain, no matter how tough or uneven. With a great sticky sole made with Vibram, the grip and tread are superb and sure to keep your sturdy. 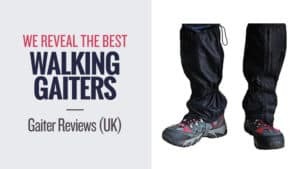 They are also waterproof; so wet days walking doesn’t need to end with soggy feet. 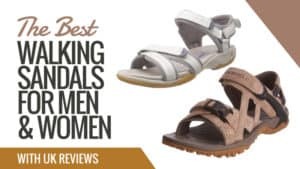 These women’s shoes have a great design, but it should be noted they can take a little time to break in. Make sure you walk around in these with thick socks before you take them out for real. A popular and very well-known brand, Timberland have been making walking boots for decades. These are some of the best approach shoes on the market for men, and they are made from leather with a strong upper for extra protection. 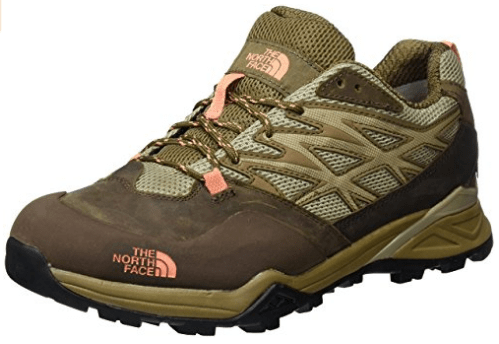 The sole is sticky and sure to give you a firm grip on all types of rocky and uneven terrains. 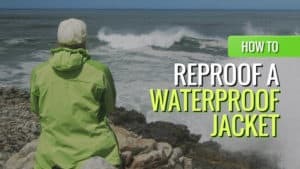 They are waterproof, comfortable, and incredibly flexible. Just be warned that they can have a slightly narrow fit. There are some fantastic approach shoes available here, and hopefully, you have been able to find the best approach shoes for you. 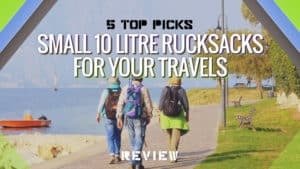 Whether you are looking for something that comes at a budget price, or something with a higher tag, there is a whole host of options here for you to consider. 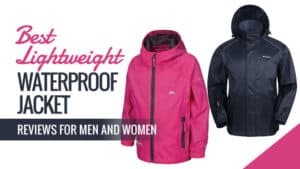 From models with extra padding and waterproof features, to those that focus primarily on the best possible grip and tread, everything has been included with a superb selection for both men and women. So no matter what you are looking for there is a shoe (and a brand) that is perfect for you. What did you think of our approach shoe selection? Are there any you would have added? We love hearing from you, so feel free to leave a message in the comments below.